Copyright © More Than Paper. Images used with permission. 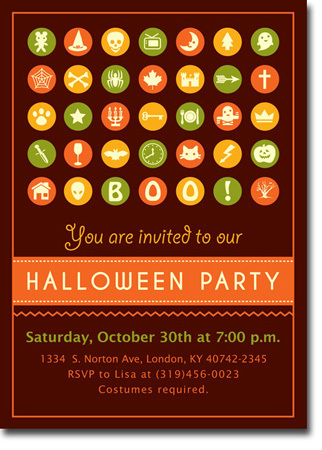 Flat colorful Halloween invitation printed on a nice medium-heavy cardstock that is perfect for your next Spooky Party! Invitation prints on both front and back. Matching self-adhesive address labels are available for an additional fee. 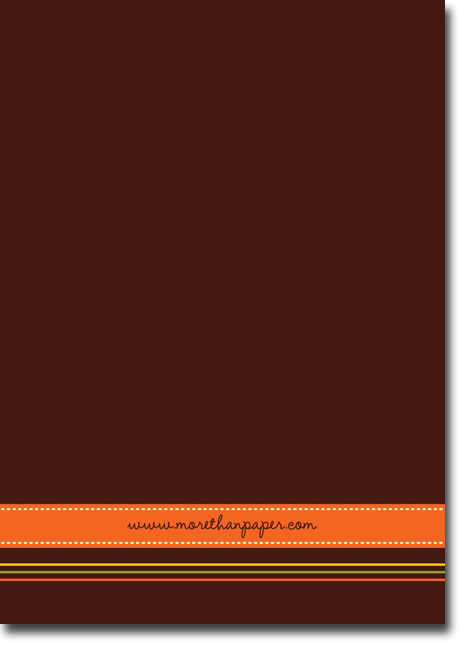 Blank white envelopes are included with the cards. 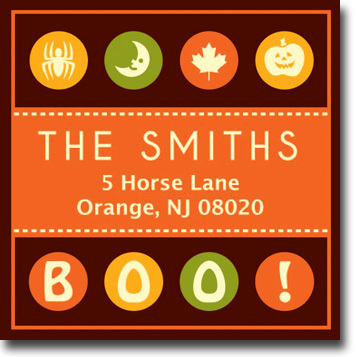 Do you want any matching stickers?